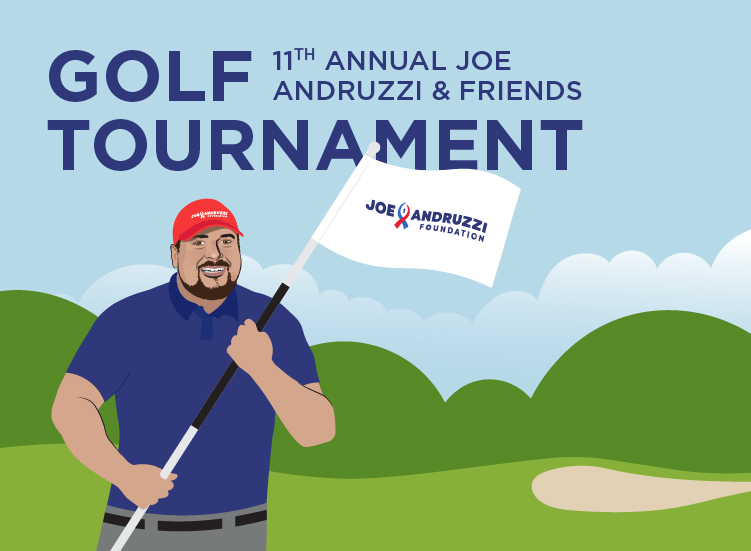 On Monday, June 24, 2019, the Joe Andruzzi Foundation will take over the beautiful Pinehills Golf Club in Plymouth, Mass. for our 11th annual golf tournament, presented by East Commerce Solutions, Inc.
Last year’s tournament raised more than $350,000, and proceeds from this year’s event will once again benefit JAF’s mission to provide help, hope, and a reason to smile, for New England cancer patients and their families by contributing financial support when it is needed most. JAF’s golf tournament is one of our largest annual fundraisers that support the Foundation’s mission all year long – so now is the time to tee-it-up and directly impact the lives of cancer patients and their families throughout New England. Available sponsorship levels to date include: Dinner Sponsor, Beverage Cart Sponsors, Hole-In-One Sponsors, Golf Sponsors (single player or foursomes), Driving Range, Putting Green and Tee/Hole Sponsors, as well as the ability to sponsor a JAF Recipient to play in the tournament. Hit ‘em straight and thank you in advance for supporting JAF! For more information or inquiries about this year’s event, please contact JAF’s Director of Special Events, Tracey Mahoney, at (508) 261-0630 or email tracey@joeandruzzifoundation.org.